Did the house door lock while the keys are not in your pocket? Did you lose the keys? 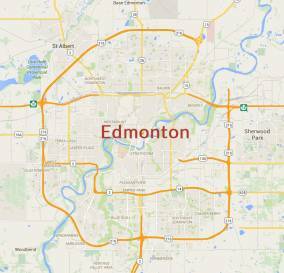 There are many reasons for a house lockout in Edmonton, Alberta. But every time you are in need of a locksmith to open your home door and address the problem which put you in this situation, all you have to do is give us a call. Here at FC Locksmith Edmonton, we are responsive and available for such emergency services 24/7. Call us. A house lockout doesn’t happen every day, but you will need immediate assistance if it does. The truth is that you cannot really prevent such situations. Even if you make several key duplicates, the door might close behind you with the keys on the kitchen table. What you can do is to be prepared for such ordeals. All you need to do is put our company’s phone number on speed dial. Should the need for a house opening service arises, just give us a call. Our company is here for 24 hour house lockout service in Edmonton. So don’t worry. Whether this mishap happens to you late at night or early in the morning, our team will send you a pro shortly after you call our number. Let us assure you that we specialize in all home locks and so is every locksmith we dispatch. The pros are properly equipped and qualified to open locked house doors in a quick and proper manner. There is no denying that lockouts also occur when keys break and locks are damaged. In similar circumstances, you won’t only need an Edmonton locksmith to open the door but also extract the broken key and replace it. If the key is lost, it’s best to have the lock rekey as a precaution. Relax knowing that our team sends out locksmiths prepared to address any kind of trouble. Whether you just need door opening or lock repair or key replacement, we are at your service. Why wait out of your home for long? The service is affordable, performed with the utmost respect to your privacy and property, and is offered by an expert locksmith 24/7. 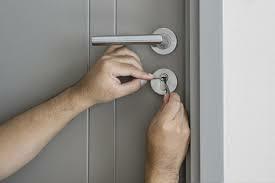 Just keep our number and call us if you need Edmonton house lockout service.